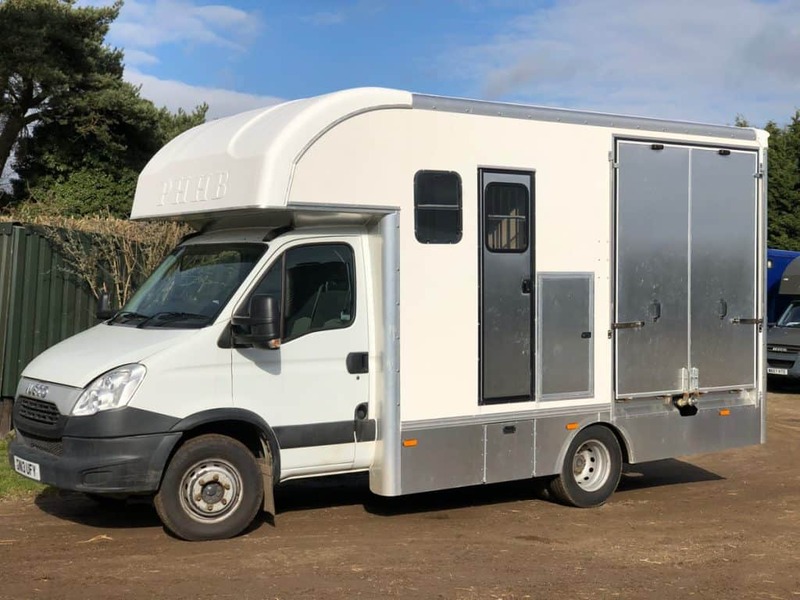 This brand new coachbuilt short wheel base Trophy Twin is built on a 2013 Iveco 70C17 chassis with only 106,000 miles on the clock. 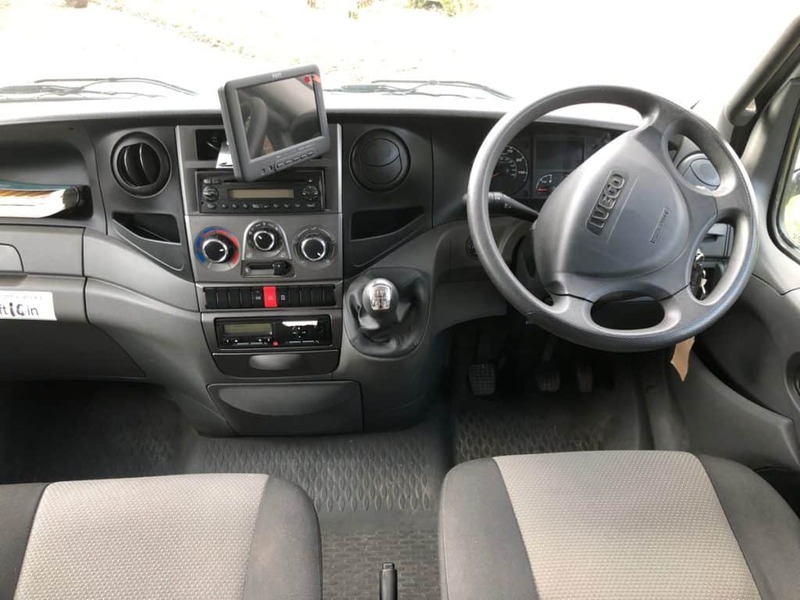 There are 3 seats in the cab with a cut through to the living area. 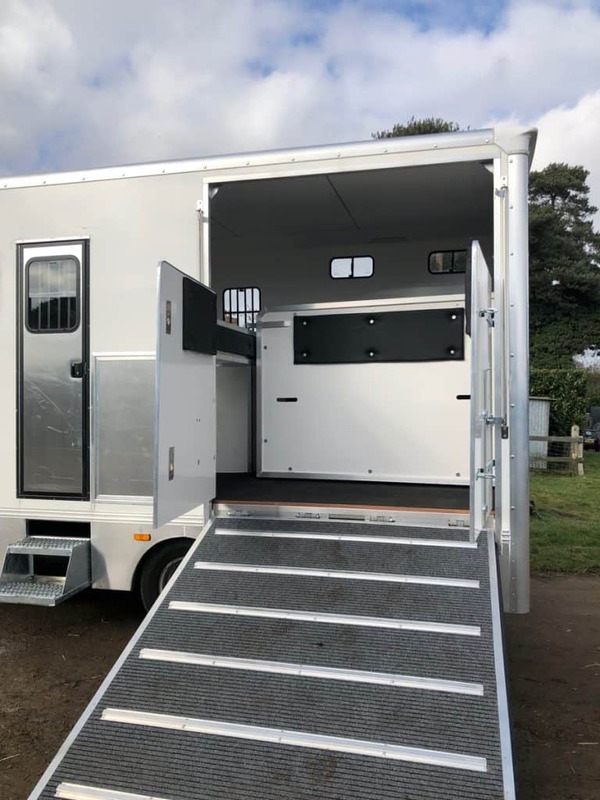 A twin camera CCTV with a camera in the horse area and a reversing camera is also included. There is a spare wheel mounted under the chassis, electric windows and a battery isolation switch. It will be supplied with a new MOT and weighbridge certificate confirming the payload. 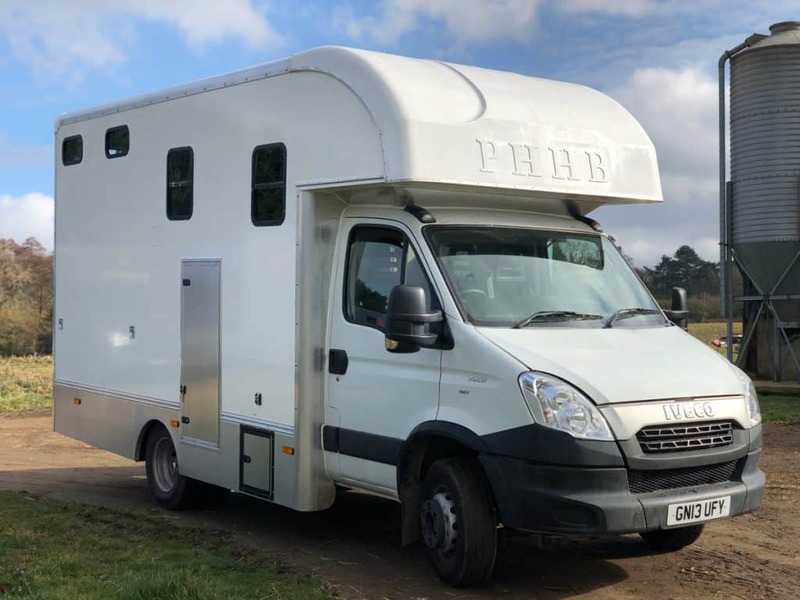 You can choose the external finish of this horse box – one solid non-metallic colour and your choice of two graphics are included in the price. Accessed through the cab cut through or via a groom’s door from the outside, this living has two windows to provide light and create the feeling of space as well as smart leatherette walls and LED lights. 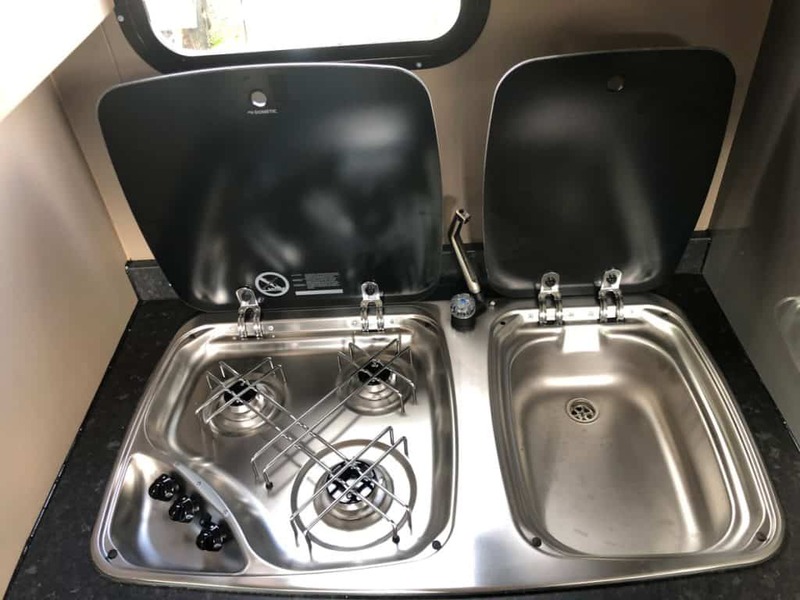 The kitchen cabinets are a modern grey high gloss with a glass topped sink with running water and a 3 ring gas hob mounted in the worktop. 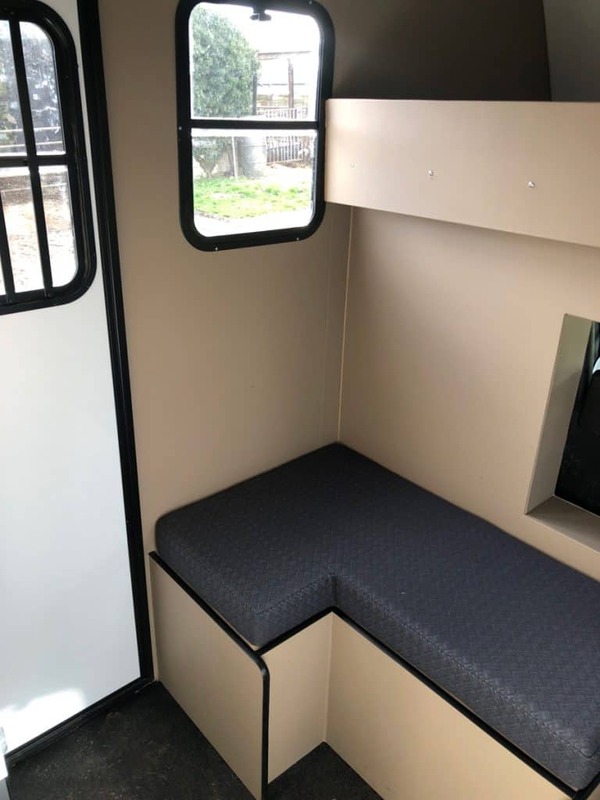 An L shaped bench seat provides space for sitting and relaxing and the luton pod has a 4’ bed – enough space to sleep 2 people. A door with viewing window leads into the horse area. 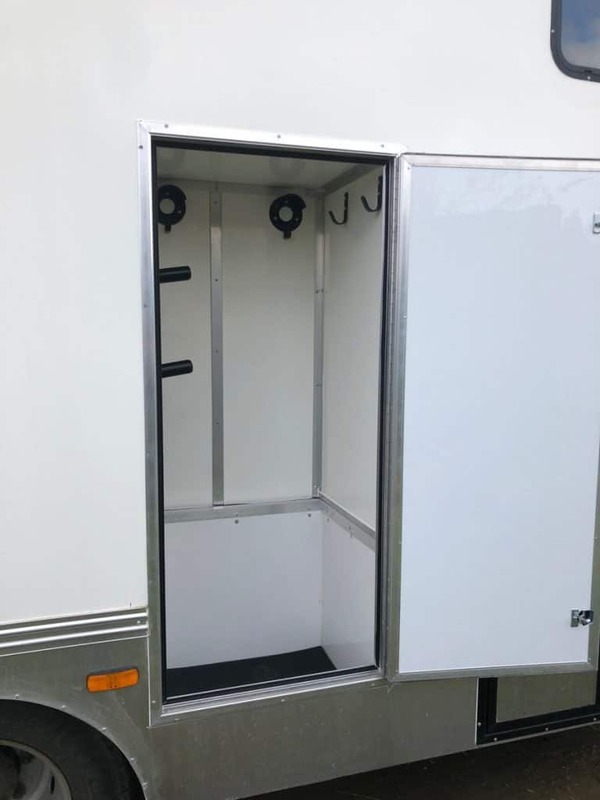 One externally accessed and lockable tack locker, situated in the horse area under the horses head with shelving. 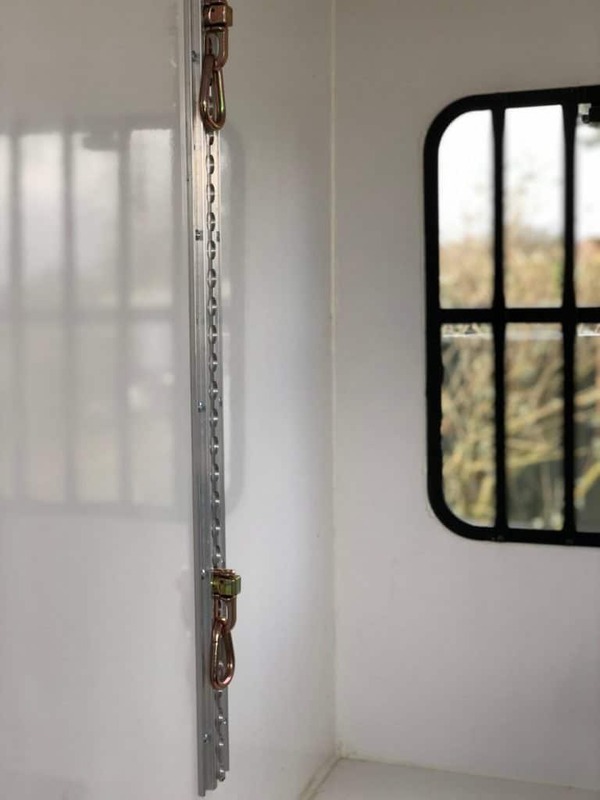 A second super deep externally accessed and lockable tack locker; situated under the horses head containing two bridle racks, two saddle racks and two coat hooks. Kitchen cupboards under hob / sink in living area. 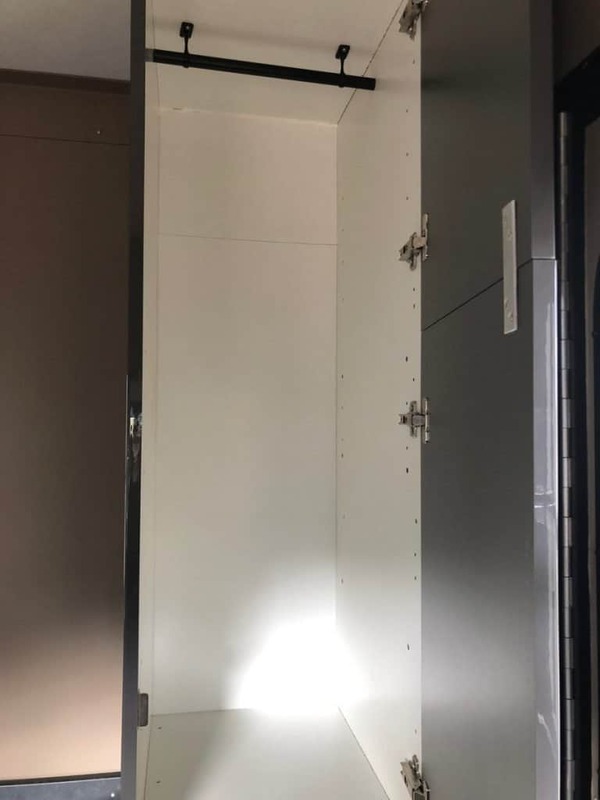 Half height wardrobe with hanging rail in living area. 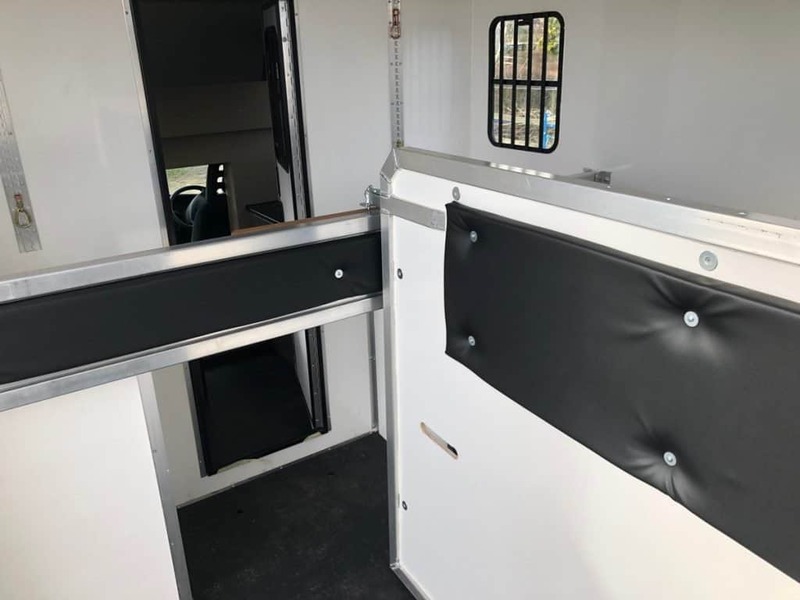 The large horse area has 1 large window, 4 vent windows and two fully adjustable tie ring racks, providing 4 tie rings. 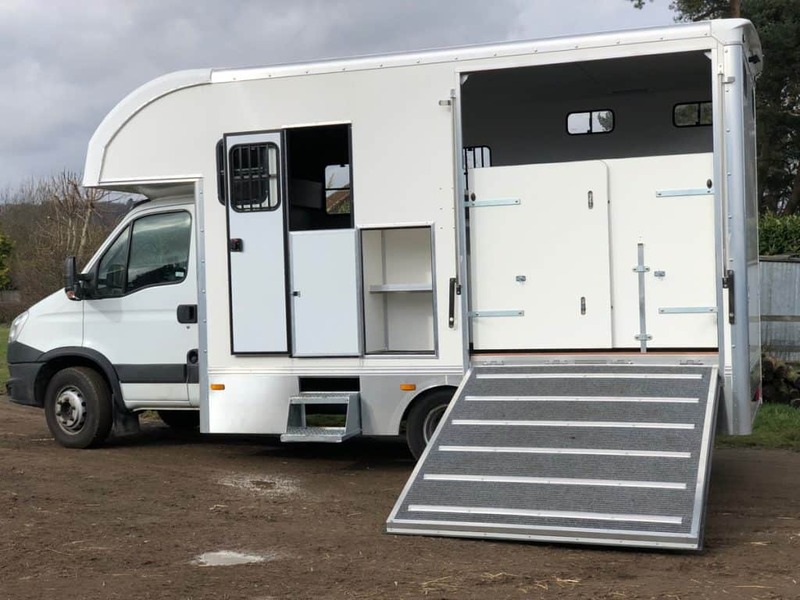 The horse area is accessed via a side ramp with carpet covering and aluminium runners and it is under sprung and easy to put up and down by one person. 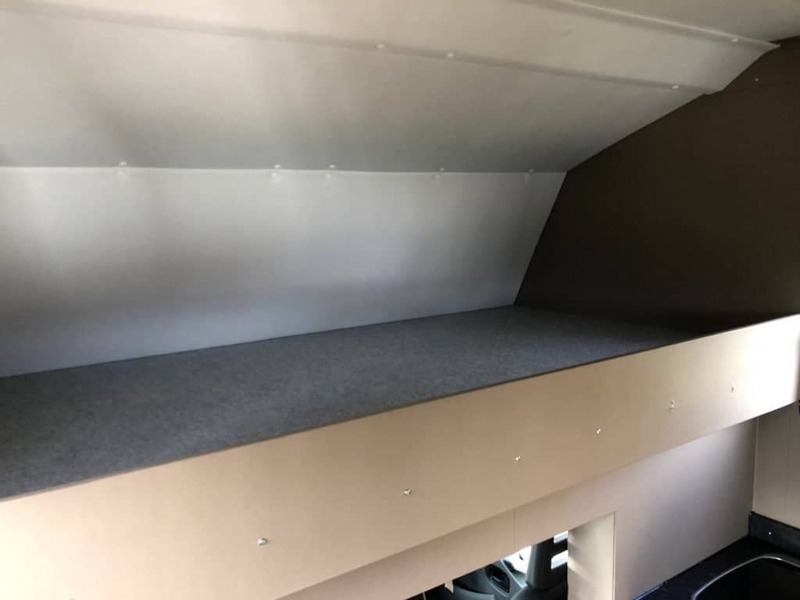 The floor is constructed from aluminium planks with a heavy duty rubber mat overlay. 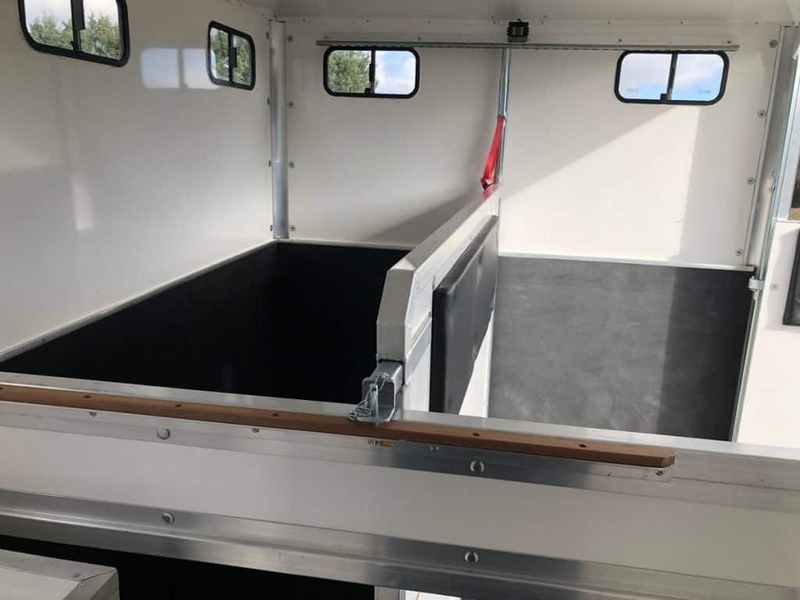 The padded central partition is full size to the floor, made with aluminium and GRP and fully adjustable and removable to create two stalls for forward facing travel. 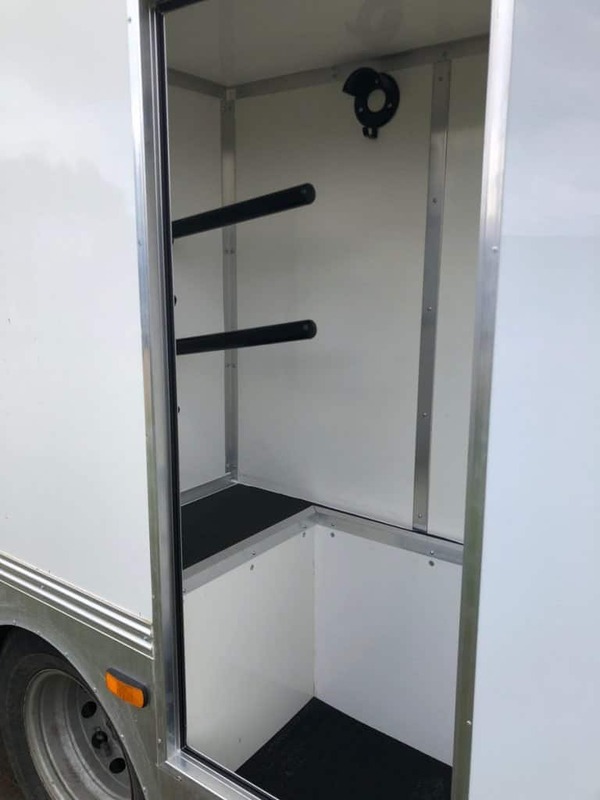 The GRP loading doors are also padded and the deep breast bar is removable and padded with an emergency drop feature. There is also a loading light. CCTC with horse view camera and reversing camera. Fire extinguisher and smoke alarm. 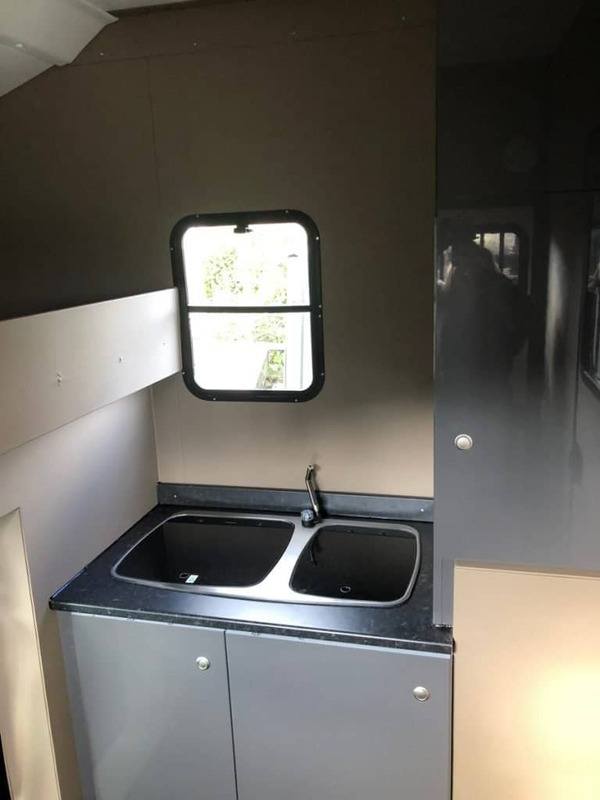 Supplied with a 3 month mechanical warranty and 12 months warranty on the build.